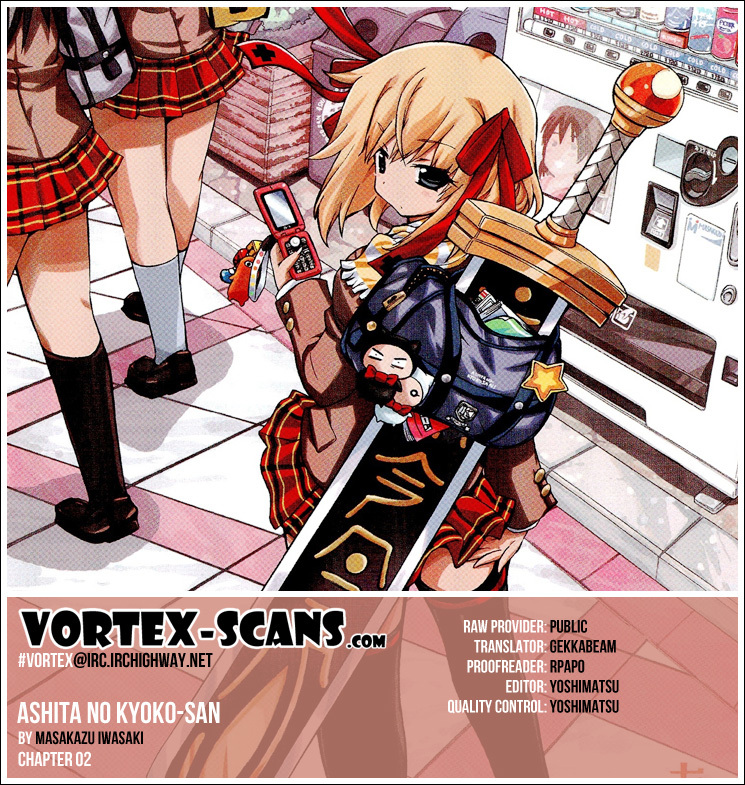 Ashita no Kyouko-san :: Vol.1 Chapter 2: This is my castle. Vol.2 Chapter 21: Show Me, Mako-chan! Vol.2 Chapter 17: Party, Party! Vol.1 Chapter 16: The Hero Caught A Cold! Vol.1 Chapter 15: Your Comrade! Vol.1 Chapter 7: Volt Axe, Activate! Vol.1 Chapter 2: This is my castle.